Office 365 and Microsoft Teams have made collaborating and communicating easier while making end-users more productive than ever before. Learn how to implement and configure Microsoft Teams as part of a cohesive digital strategy appropriate for your organization while avoiding the most frequent pitfalls. Whether you are moving to SharePoint or Office 365, migration projects can make even the most experienced IT department cringe. SharePoint, Delve and other Office 365 applications are leveraging AI to surface content for end-users. Its clear that this capability is only going to become more prevalent within the Microsoft ecosystem making it easier than ever for users to find and access content. But what if you don’t want certain content to be found by certain types of internal or external users? payroll data, employee performance reviews or sensitive strategy documents surface to the wrong user isn’t an idle concern—it has happened to real organizations. Without the proper governance and permission policies and processes in place, it can happen to your organization as well. You’ve downloaded APIA, now it’s time to learn best practices for leveraging it and other solutions to make your organization GDPR compliant! Whether you are in Office 365, SharePoint, or an environment outside of the Microsoft ecosystem, this webinar is for you! Modern enterprise content management and collaboration platforms like SharePoint and Office 365 can help government agencies modernize their IT and accomplish their mission more effectively. However to execute a successful compliant migration, agencies must navigate stringent regulations, complex procurement processes and tightening budgets—all without disrupting mission critical workloads. This webinar will show you how to do just that while providing clear answers to you’re migration questions. One of the beautiful things about SharePoint and Office 365 is that organizations can shape it to meet their specific needs. Nintex is a popular intelligent process automation solution that makes it easy for users to automate and optimize their routine business processes in these platforms. However, to maximize your value, it’s important to know the best practices for creating, using and migrating these workflows. Want to know more? Register for our on-demand webinar today! Many firstline workers can feel disconnected, underinformed and disengaged from the rest of the company. Additionally, their productivity can be hampered by manually intensive and outdated tools from paper punch cards for clocking in to phone trees for trading shifts. Now, Microsoft is bringing the digital transformation to the frontlines of organizations with a special Microsoft 365 F1 licensing combining Office 365, Windows 10 and Enterprise Mobility + Security. This webinar will cover the advantages of this new offering as well as best practices for implementing and training frontline employees on Office 365 solutions relevant to their day-to-day work. Hey DocAve Online Backup users, did you know that AvePoint has come out with a new and improved way to back up your data in the cloud? AvePoint has recently released our Backup as a Service – Cloud Backup. AvePoint’s Cloud Backup is a huge leap forward from DocAve Online Backup in several key areas. 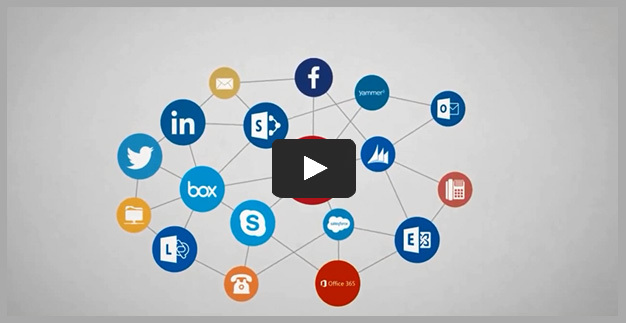 Office 365 solutions like Microsoft Teams, Yammer, Skype for Business, SharePoint and others all add unique value to your business. But, they can also add confusion if you don't provide practical guidance to your users on how to use these solutions so they complement one another. AvePoint's Dux Raymond Sy and Microsoft's Naomi MoneyPenny provide an overview of Office 365 and how its suite of integrated tools, particularly Microsoft Teams and Yammer, work together to drive immediate and lasting value to your workplace. If you think you don’t need back up in the cloud, think again. Do you know how long Office 365 will retain and back up your data? Do you have the required steps documented to recover your data in the event of data loss? Join AvePoint’s John Hodges, VP Product Strategy, and Yatindra Ranpura, Technical Solutions Professional, in this on-demand webinar where you will learn what you need to know about cloud back up in Office 365.